Automotive designing is filed of creativity and constant innovation these are the few, top colleges around the world who delivers highly skilled designers to the industries with creative programs and world-class teaching technology. Art Center College of Design offers a new model for design education in the 21st century and a leading to provide students innovative learning and making spaces. There are two campuses for the art center. Hillside and South In addition to its top-ranked academic programs, the College also serves residents of the Greater Los Angeles region through a highly regarded series of year-round educational programs for all ages and levels of experience. Because designers can bring invaluable insights to an enterprise well before it even starts developing new products or services, curriculum encompasses a combination of design methodology, strategic innovation, systems thinking, customer-driven research and entrepreneurial practices. The program's community of students—often with prior degrees in design, architecture, urban planning, business, engineering, anthropology or economics—brings diverse perspectives and stimulates the trans-disciplinary culture essential to advance the future of transportation. BFA requires completion of 126 credit hours, 84 in studio areas and 42 in general studies courses. In addition to coursework in students chosen a program, first-year students take courses in the Foundation Department, where they study drawing, color theory and basic design. Programs designed to provide them with an understanding of the larger social and cultural context in which they live. The College's MFA degree in Transportation Design is a terminal degree that prepares students for leadership in industries that rely on design. The MFA degree programs share core curriculum, with variations in technology components. The MFA degree requires completion of 60 credit hours. Distinctive among MFA programs in the United States, CCS's graduate programs are grounded in the conviction that the most effective designers are those who have a firm grasp of the business world. MADA is changing the contribution of creative disciplines to the world. Critical and unforeseen interpretation of complex world problems deals with contradictions which can only be understood through a multifaceted lens. Multidisciplinary partnerships with industry allow us to find integrated solutions that maximize the contributions of all stakeholders. The Department of Design at Monash University is ranked 34th in the world and distinguished by its responsive, future-focused course offerings. The careers of design professionals are evolving and expanding due to the rapid change in the nature of work, which we recognize as being driven by the acceleration of connectivity and cognitive technologies. In response, we focus on preparing students with the necessary skills that will be highly valued by employers of the future. One of well-known college in today’s world. The School is famous for its innovative ideas and teaching methods, Students have access to the College’s 3D workshops, with traditional facilities for woodworking, metalworking, plastics and resins with bookable bench spaces. Computer-driven subtractive 3D milling equipment is available in the Digital Aided Making suite, with Apple Mac- and PC-based 2D and 3D modeling programs, as well as Rapid form of RCA, the College’s additive rapid prototyping center. Printmaking – There are etching, lithography, intaglio, screen printing and letterpress areas available to students, as well as a digital suite with large-format digital printing and a 12 reprographics workshop. Smart Zone – The Smart Zones across the College include training rooms and open-access computer areas. The technical workshops here showcase a variety of software and digital processes including group and 1:1 session with technologists. Coventry University’s School of Art and Design has a long tradition of producing highly employable graduates, making a distinctive contribution to creative industries around the world. Place where opportunities for artists and designers are increasingly dependent on the flexibility of approach within well-established disciplines. Students can start their journey at Foundation level and continue up to Ph.D., as mix cutting-edge with traditional technologies to make the learning experience grounded and innovative. The School’s courses also include Architecture, Automotive, and Transport Design, Interior Design, Product Design, Graphic Design, Illustration and Animation, Fine Art, Foundation and Fashion. In order to achieve this goal, it is important to take action regarding the long term quality of our services, systems and the objects that they are made up of. It is equally essential to let free and responsible individuals use their talents to create personal and collective projects. 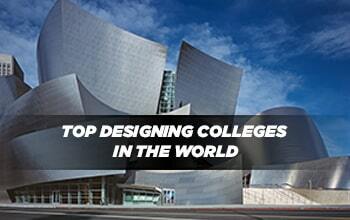 state School of Design is one of the best Transportation design schools in the world. There is not a single car company without State alumni. State trains transportation designers for tomorrow; capable of developing a transversal and global vision of all mobility issues with a double exigency in terms of formal and conceptual excellence. The mission of 21st-century designers is precisely that: to contribute to solving this equation by connecting the demands of utility, simplicity, comfort, pleasure, and beauty to the service of each man and woman. Designer’s role falls between that of a marketer and an engineer. Designers must be able to identify people's needs while mastering technology to execute their skills to the service of others. IED holds greater prestige when it comes to delivering highly skilled designers to the world. The Transportation Designer is a professional concerned with designing the primary means of transport and capable of designing a number of different kinds of vehicle, such as motorbikes, yachts and mobility systems. The Designer must have a profound understanding of the product and the functions that the consumer is looking for, so as to be able to have a clear idea about the relationship between design and marketing, innovation and commercial requirements along with the social trend and the economic background in which he is operating. The Master program embraces the entire design development process by researching into new experiential concepts, redefining architectural solutions and moving forward with new criteria for comfort and efficiency. Today’s design paradigm must be brought into question in order to better interpret new aesthetic and social trends. The studio projects, organized in collaboration with major car companies. In particular, SPD has signed a long term educational partnership with Volkswagen Group Design involving the participation of designers from the various brands – from Audi to Lamborghini – into the teaching activities. After the initial exploration, students move forward into design concepts and their refinement up to both physical and digital modeling. Upon selection, the Master admits graduates in Transportation or Car Design, Industrial Design, Vehicle Engineering or their equivalents, and candidates who have gained significant professional experience in the field. The program has a limited number of places available. Applicants will be admitted upon selection based on the student’s CV, portfolio and on an interview. The Master lasts 15 months (from October to December of the following year, with a summer break in August). Attendance is compulsory and full time. The total workload of the course corresponds to 1500 hours/student encompassing lessons, class exercises, final thesis/research project, and individual study.